There are three core necessities that every successful business must develop. 1. You must have competent training. 2. You must have a solid infrastructure, system and business presence. 3. You must have consistent, effective marketing. Systems like this are what make franchise businesses do so much better than Mom and Pop businesses. 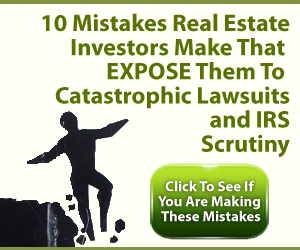 Did you know that 85% of all new businesses FAIL? Did you know that 85% of all new franchises SUCCEED? This happens because of systems. The business system I’ve created with my $8 Start Up program has these three core business systems. The video shows you how they work and how you can create them for your business. 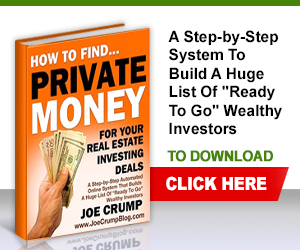 Joe: Here’s another video about the $8 Startup Program. This one is going to be focused on the training in the program and the different things that you’re going to learn through this program. The most important piece of training is going to be mailed to you and that’s the Cash Flow Newsletter. That’s my smiling face up there, that little disheveled looking picture. But each month, I’m going to be sending out another newsletter, and in that newsletter, there’s going to be dialogue between my mentor students and I about how to actually do the deals – it’s going to be focused on the deals. There’s going to be some stuff in there about the technology but most of its going to be focused on the deals so it’s probably the most important part of this whole system and the thing that’s going to make you the most money. Joe: The automation is great; it’s my favorite part. It’s a lot of fun. And I’m going to show you all of the pieces to that as well. But the automation isn’t very useful if you don’t know how to put the deal together and sound credible and look like you can actually do this stuff. So this newsletter is a really important part of this process and it’s included in this system as well. That’s the first piece of training that you’re going to get. Joe: If you go into the admin panel of your clone sites, and again, there’s three pieces to this; there’s the Cash Flow Newsletter which I just showed you, there’s the clone sites and then there’s the auto marketer. This is the clone sites admin panel and in this, there’s going to be tutorials that you can go and watch. And there’s also another set of tutorials that you can watch as well that help you through this process, so that you can learn how to use each of these different sites and each of these systems and how the technical part works. You can give this to your assistant. 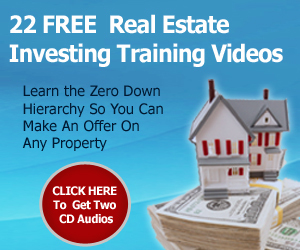 If you’re going to have somebody that’s going to be working with you, or who’s going to be putting your listings up for sale on your listing site and gathering your information – we’re going to be going through all of this stuff with them in these tutorials. 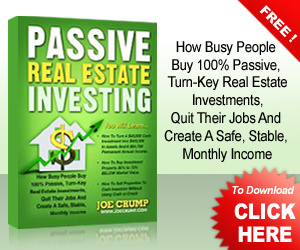 Joe: The other tutorial system is for the Push Button Auto Marketer and that’s what this page is for. It’s going to have a bunch of information about how to get started. You can get started with 5 minutes worth of work. 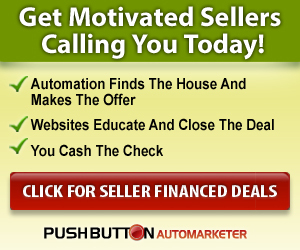 Just click on this button and it brings up the quick start video, and in 5 minutes, I’ll show you how to go through the Auto Marketer and get it running, how to start making email blasts out to people who are selling their properties, getting them to accept your offers and put these deals together, so that you can start making money immediately. I want you making offers on your first day that you’re in this program and to take advantage of these first 30 days that its only costing you $8, and get some deals going, or at least started in that period of time. 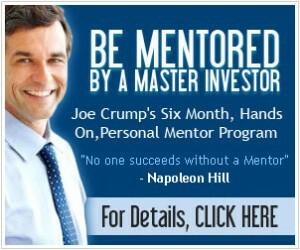 Joe: Now, let me be clear on one thing – don’t expect to make money in your first 30 days of this program. 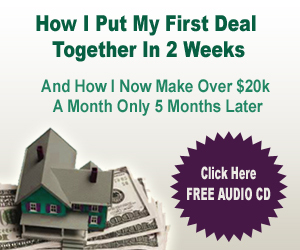 I’ve got people that do it – they make money in a week or 2 weeks; that’s not that uncommon. But, they’re the exception, not the rule. 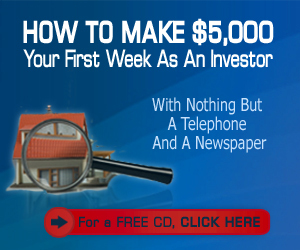 Give yourself 3 or 4 months before you can expect to start making money with a system like this. You’ve got to get it up and running. You’ve got to understand how it’s working. The reason why I’m creating all of these short videos is so that you can learn them a little bit at a time as you go through this process and kind of get up to speed on this thing so that you can go and try something new each day when you do this. 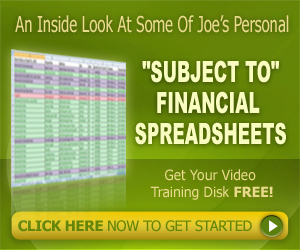 Joe: The other thing that I’m giving everyone is the resource page. It’s going to expand, but right now, we’ve got the for rent method contracts on it, lease option agreement memo, your resident documents, your addendum, the phone script that you need to be able to talk to people – that’s all there for you to download. Then there’s going to be the training conference call that I’ve got that’s recorded. You’ll be able to listen to the conference call and learn how the system works; the overview of the system and how to talk to sellers and put the deals together. 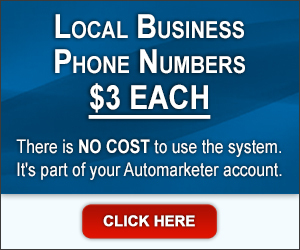 The next part is how to set up your clone sites and Auto Marketer (if you haven’t set it up already). So these are the pieces that you’re going to need in order to get this whole system up and running and going. Joe: I want you to know that all of these things are supported, and yes, there’s a lot of pieces to it, but you can learn it over time, and you can get started in 5 minutes. You can start making offers literally in 5 minutes. All you have to do is watch that 5 minutes video, click a few places, get the Auto Marketer going, start sending out blasts and then you’re going to start getting replies back. That’s what’s so exciting about this – you can get going on this right away, even if you don’t know what you’re doing, and you’re going to look reasonably credible from the get go. Joe: Now, it doesn’t mean that you can do this without learning how to talk to these people. And that’s part of the training what I teach in the Cash Flow System. You’ll want to keep all three of these pieces. And that’s why I’m selling them as a package – because I think that they are all necessary for you to be successful. Joe: As I go through these videos, I’m going to show you a bunch of little pieces to these things so that you can do it yourself without having to own the system if you need to. You can do this stuff manually. Again, this is just automation to help you do things that we’ve been doing manually for years. I’ve been developing these automated techniques over the past few years even though we’ve been doing these techniques probably for 20 years. I hope that helps.